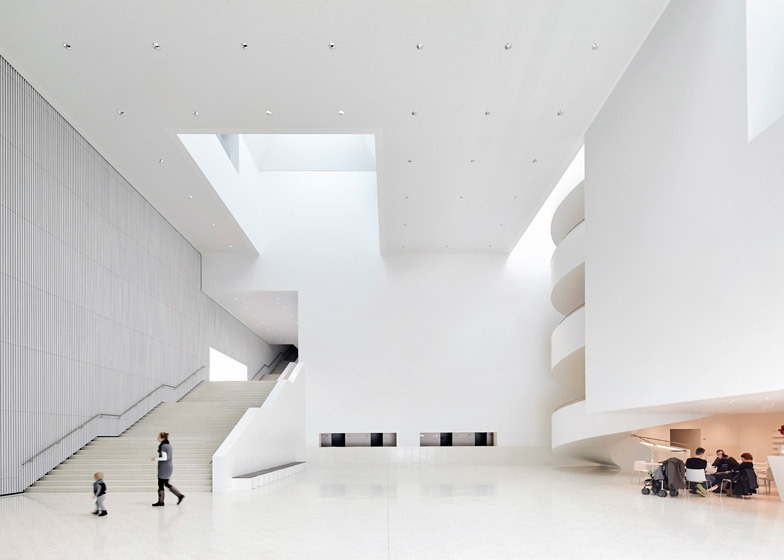 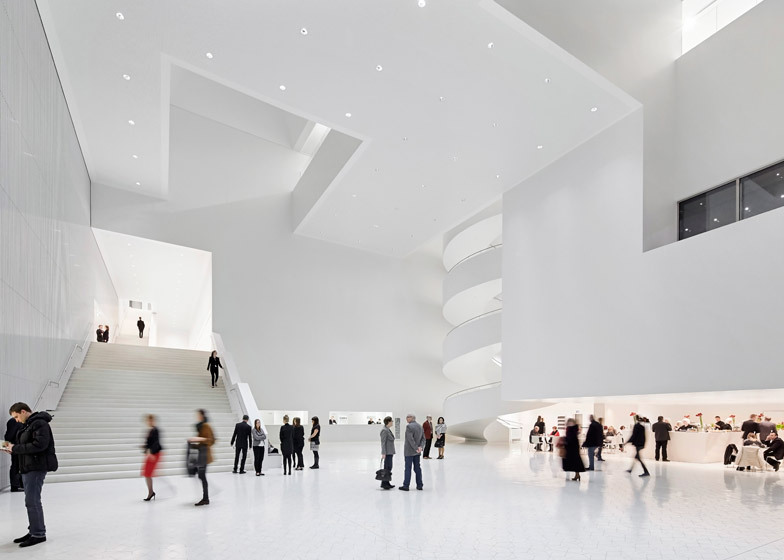 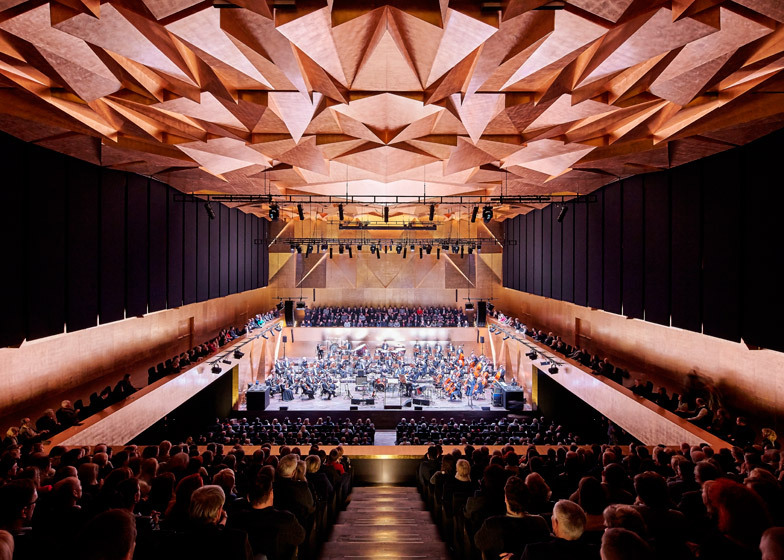 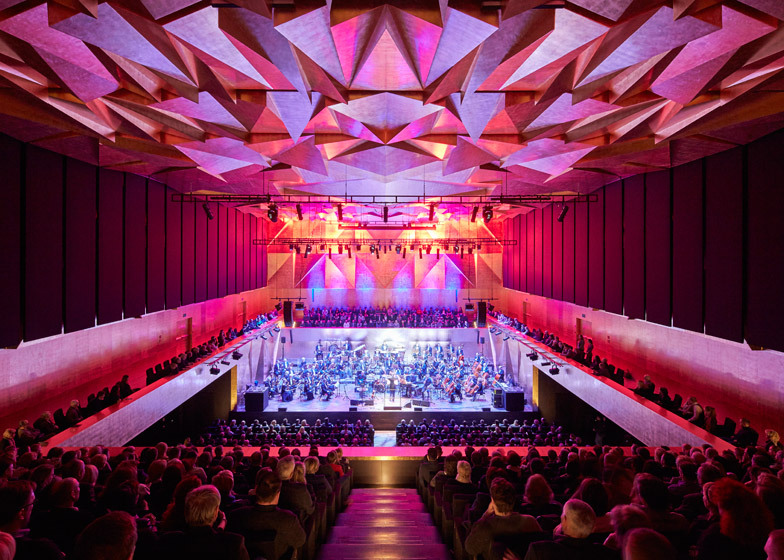 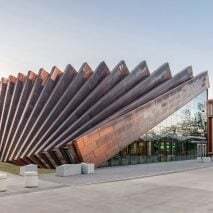 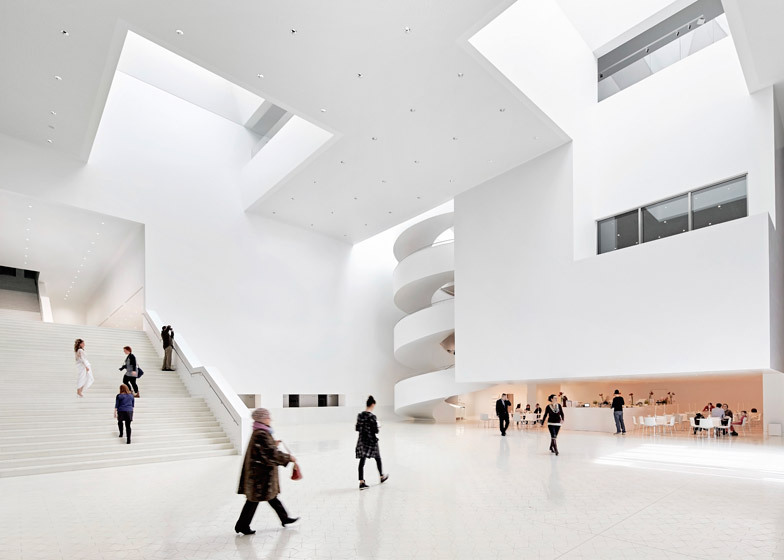 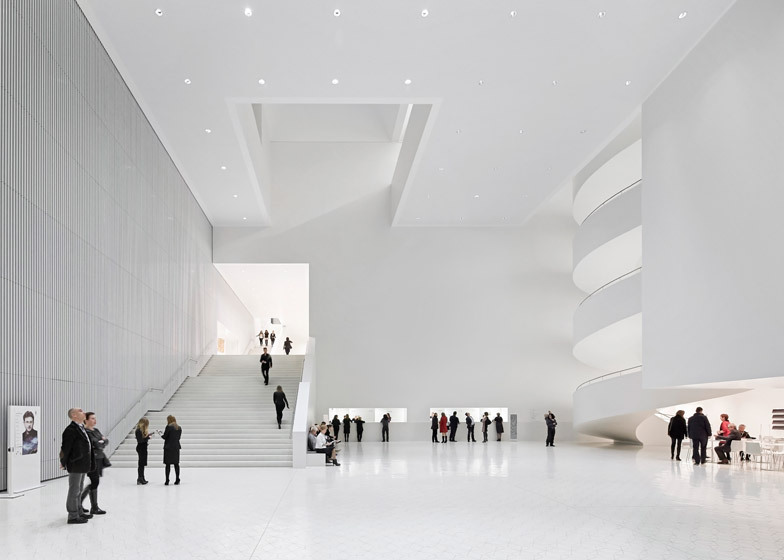 These new shots by Hufton + Crow provide an in-depth look at the pointy profile and expansive interiors of the Polish concert hall that was recently shortlisted for the Mies van der Rohe Award 2015 and this year's Designs of the Year (+ slideshow). 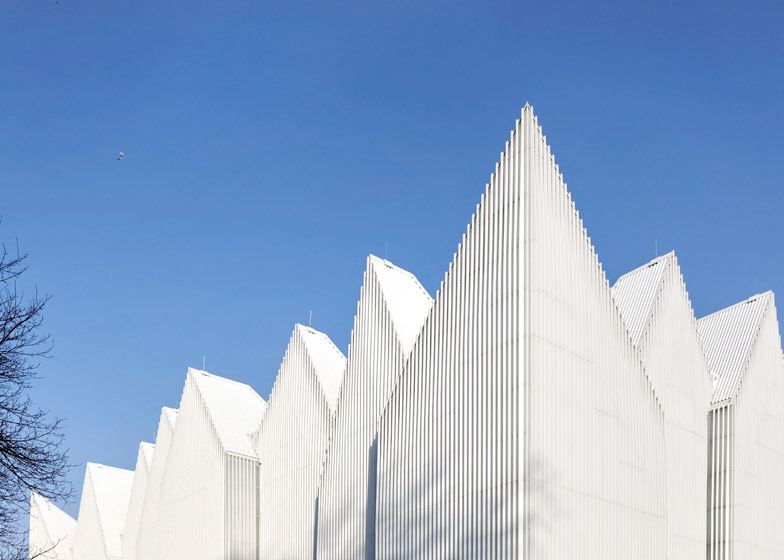 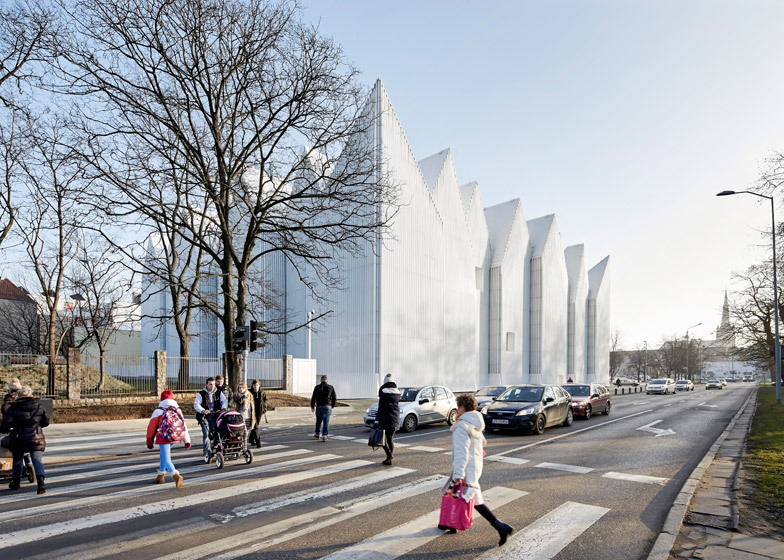 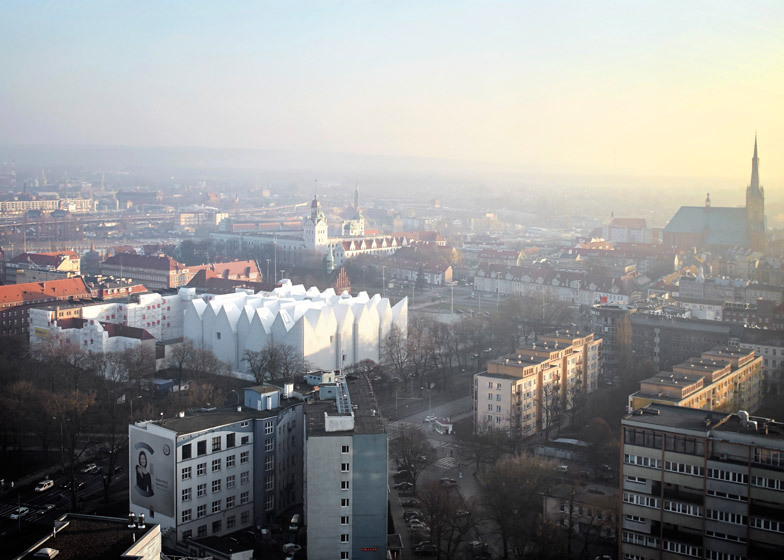 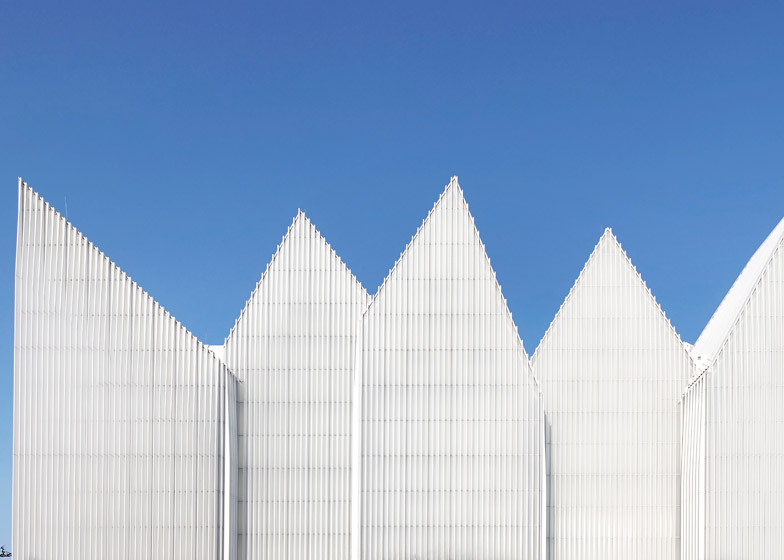 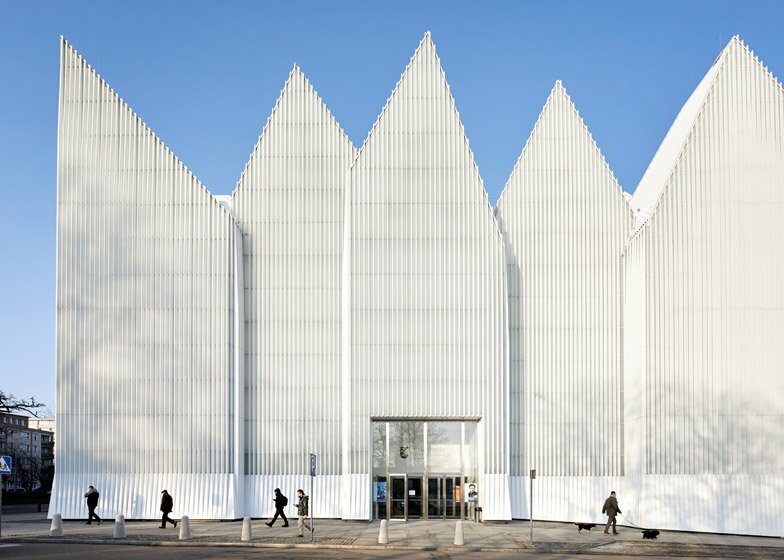 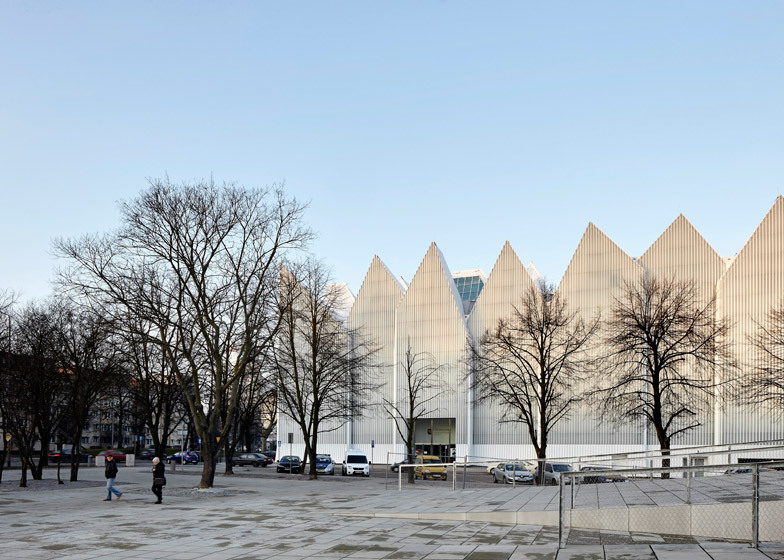 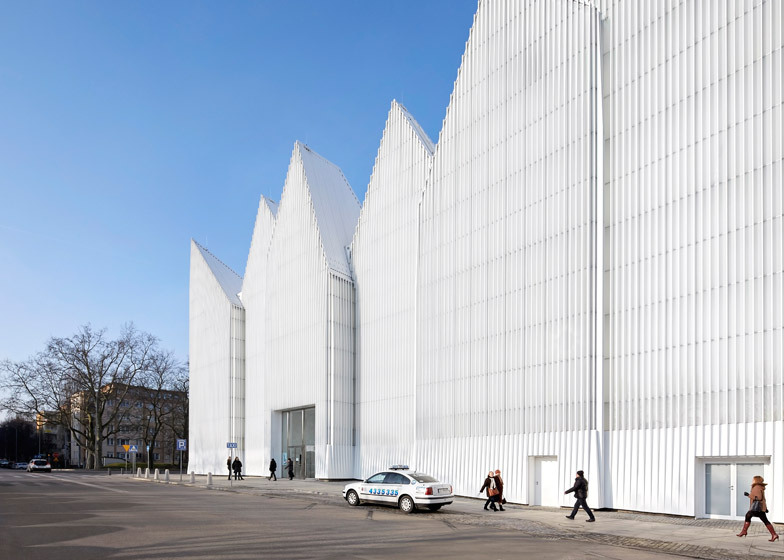 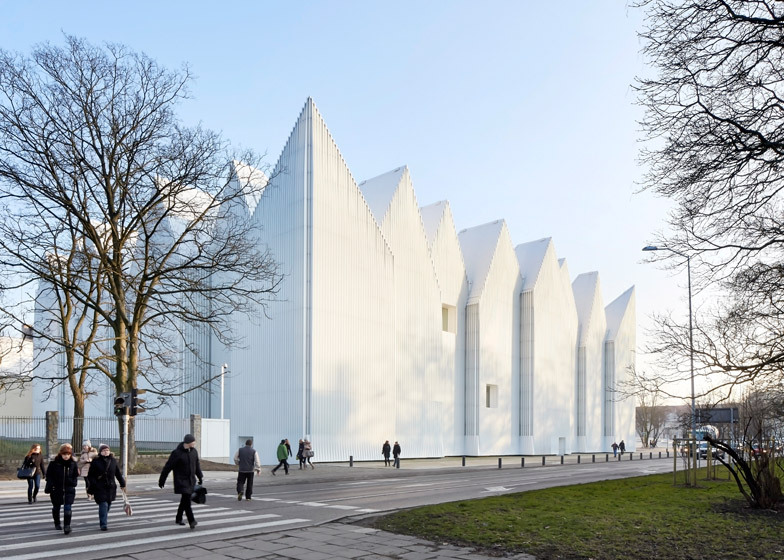 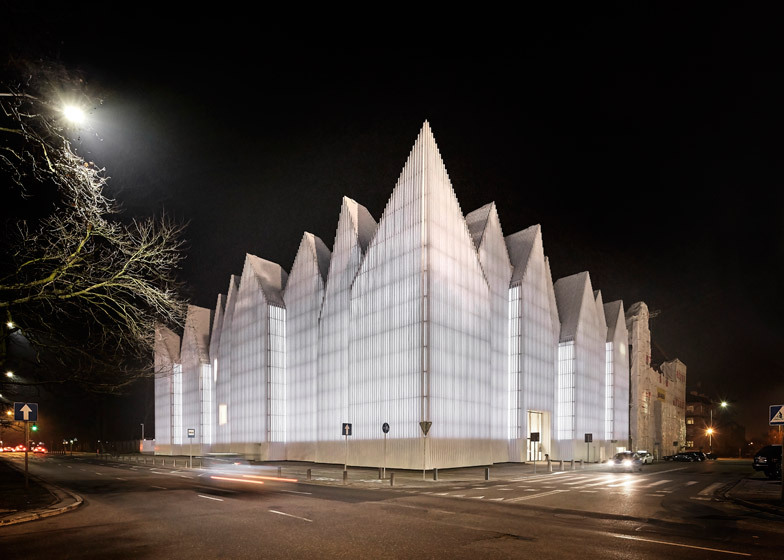 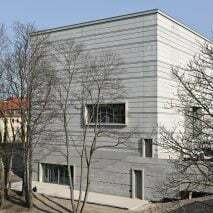 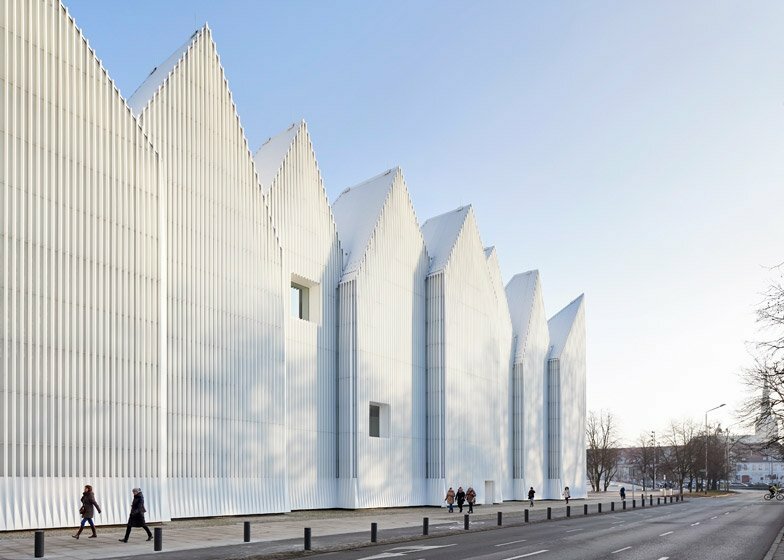 The Szczecin Philharmonic Hall by Spanish studio Barozzi Veiga was one of 40 projects named on the shortlist for the most prestigious accolade in European architecture, and one of three buildings recognised in Poland, alongside Lahdelma & Mahlamäki's Museum of the History of Polish Jews. 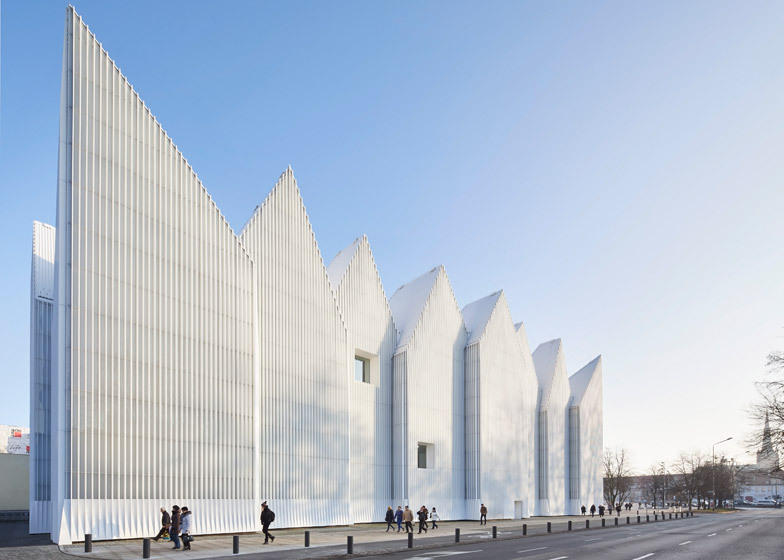 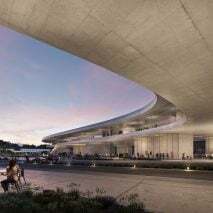 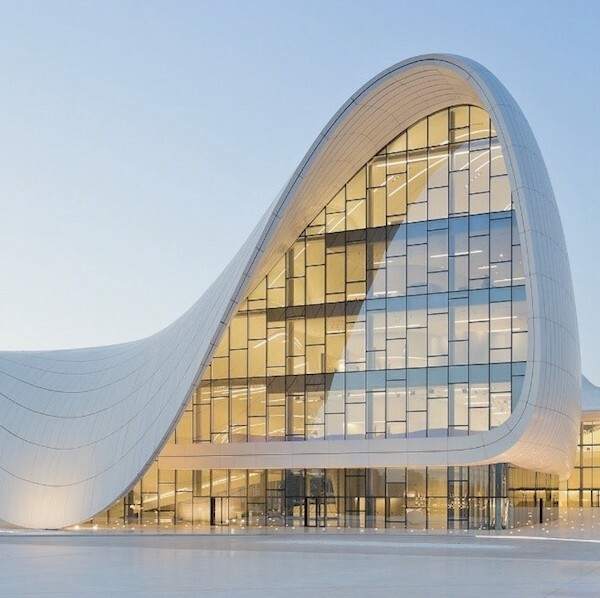 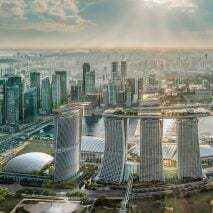 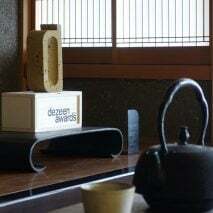 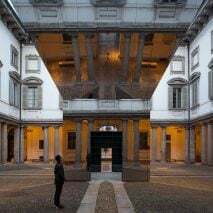 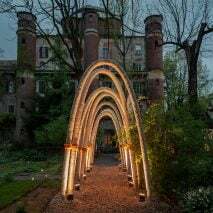 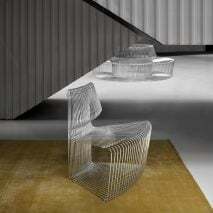 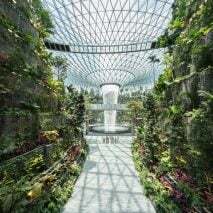 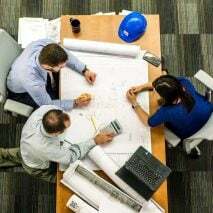 It was also among the 76-strong list of nominees for the Designs of the Year awards 2015, which features 15 architecture projects. 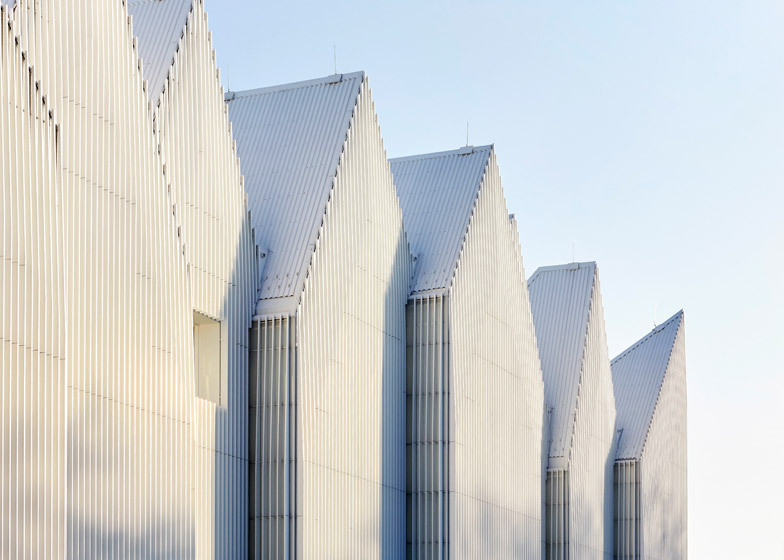 A series of adjoining gables give the building its zigzagging roof profile, designed to create the appearance of a row of smaller structures. 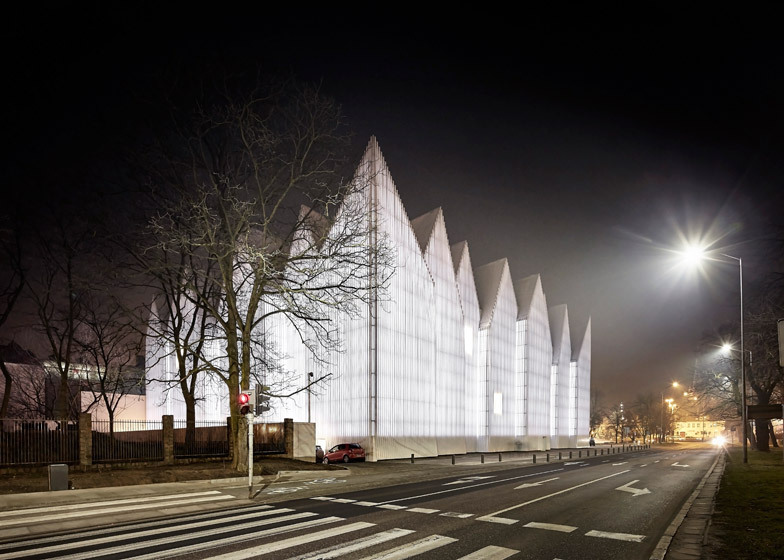 It also features a translucent ribbed-glass facade that glows after dark. 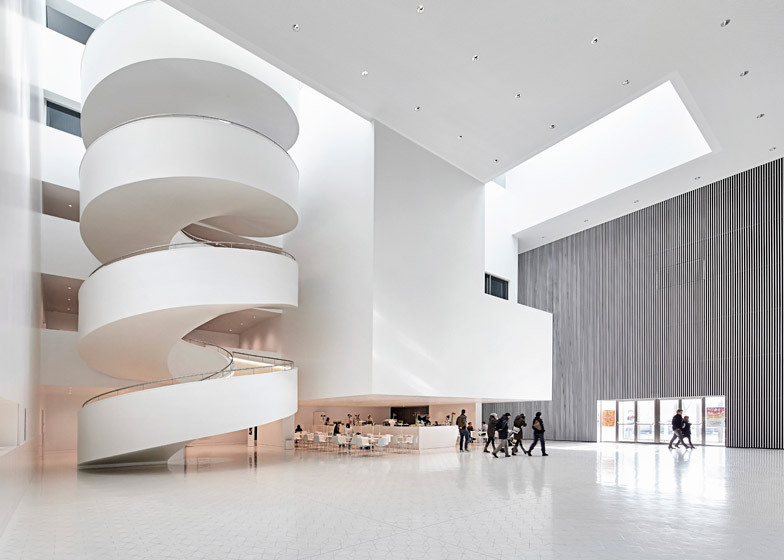 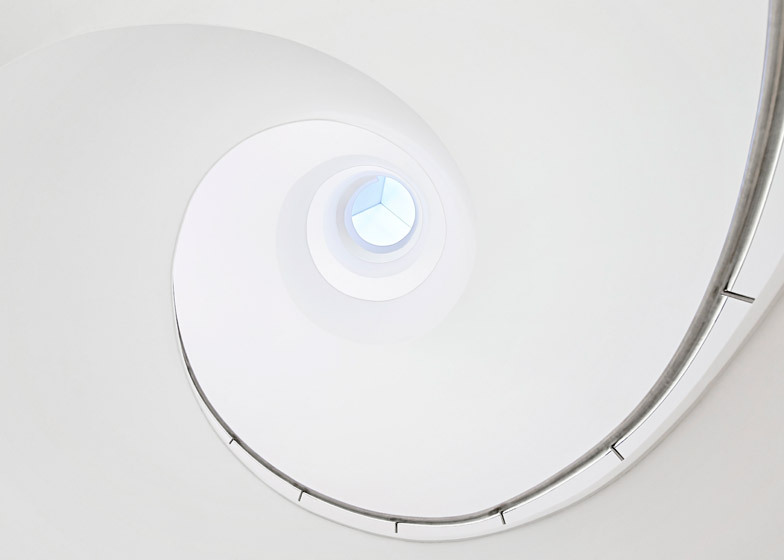 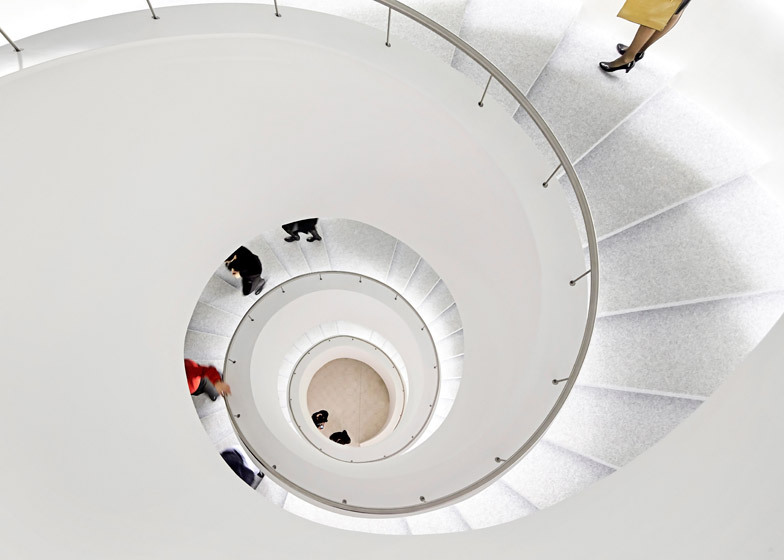 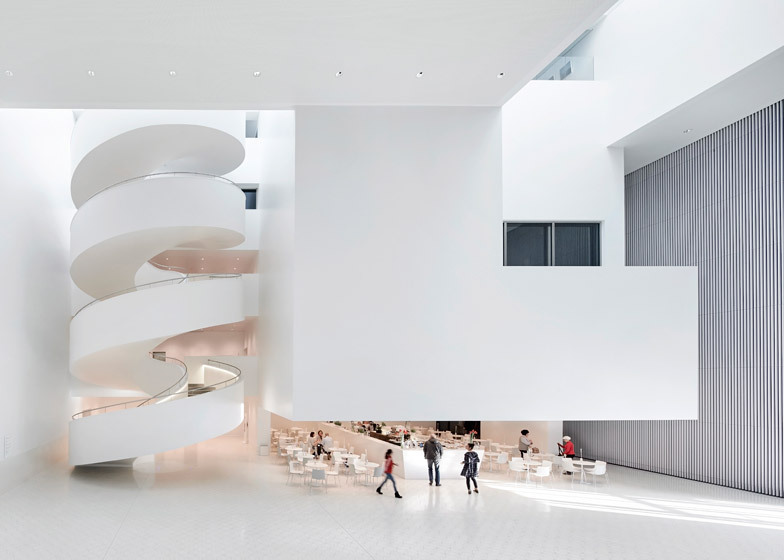 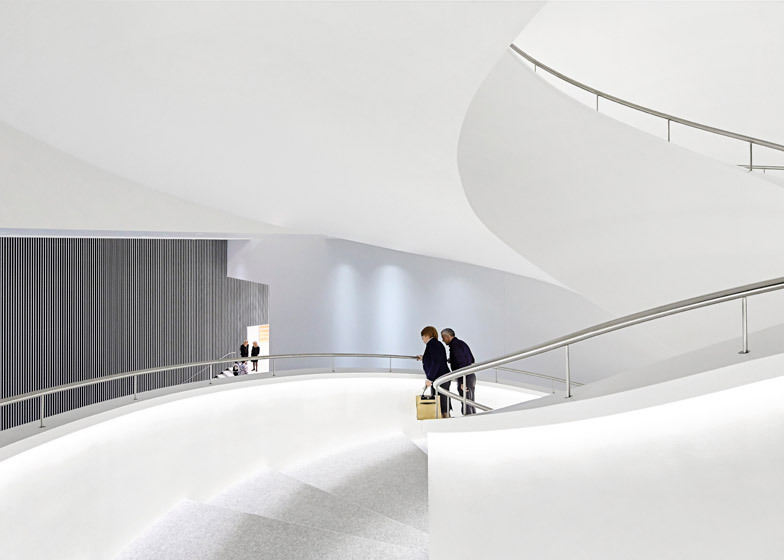 Inside, a grand spiral staircase provides access to the various auditoriums and event rooms, which include a 1000-seat concert hall, a 200-seat venue for chamber music, and several conference rooms and galleries. 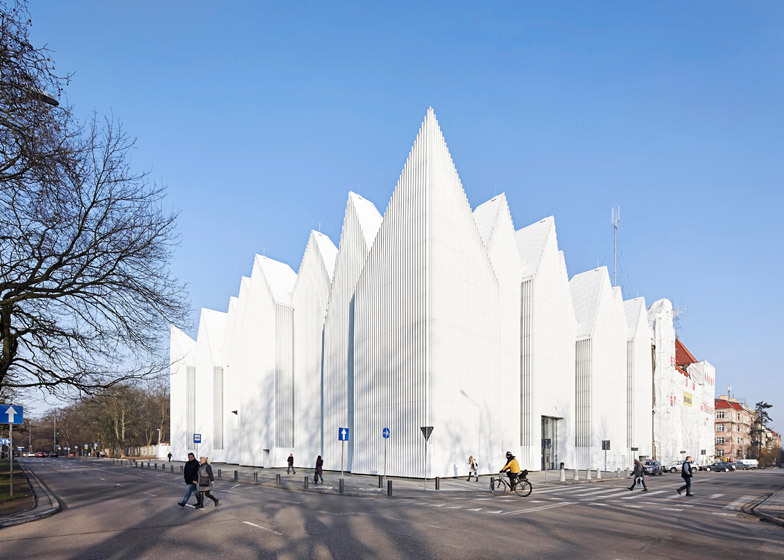 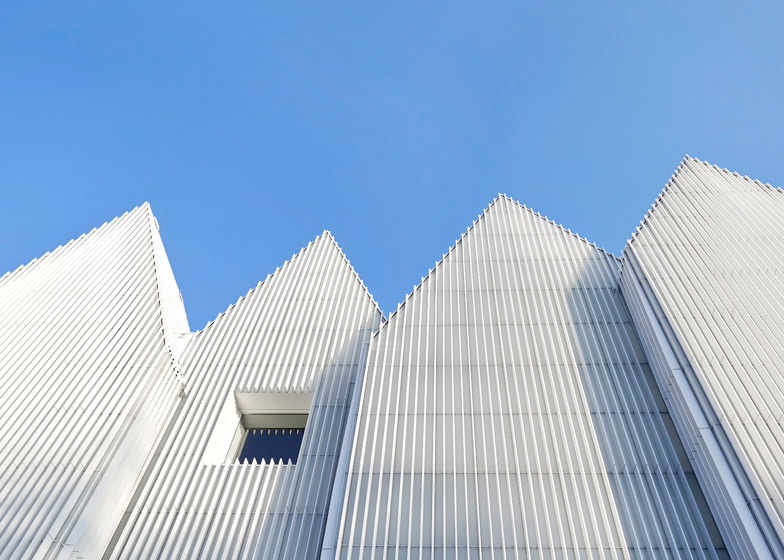 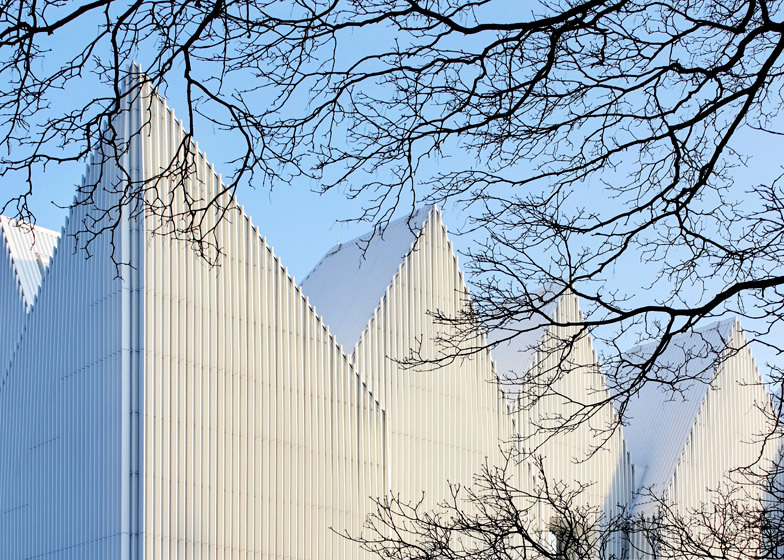 Szczecin Philharmonic Hall was completed in 2014 – read more about it in our earlier story.